The ACT government has kicked off its new federally-funded waterways project, aimed at upgrading the territory’s water infrastructure and relocating wetlands. The public works, it is hoped, will guard against rare flood events and improve water quality, while leaving native wildlife unharmed. Construction will begin in Tuggeranong before proceeding to other parts of the territory in the coming months. “These kinds of projects are a win–win,” said Senator Zed Seselja. Water quality has been a big issue in Tuggeranong. It has been suggested that the area’s infamous smell may owe to stale water. The developments will receive 90 percent of their funding from the federal government, and come as the latest instalment in the ACT Healthy Water package. Tuggeranong residents will be mostly unaffected, except for some small bike lane and walking path closures. Safeguards have been put in place to ensure the local wildlife is protected. Birds will “relocate themselves” while lizards and ground animals will be relocated. “Protocols will be in place to deal with any unexpected finds, from turtles or snakes to shopping trolleys,” said ACT Minister for Planning Mick Gentleman. Fish are a trickier issue. The government says it will take pains to identify which species of fish are which, and ensure that native fish like the Murray Cod are captured and put in aerated tanks before being relocated to Lake Tuggeranong. 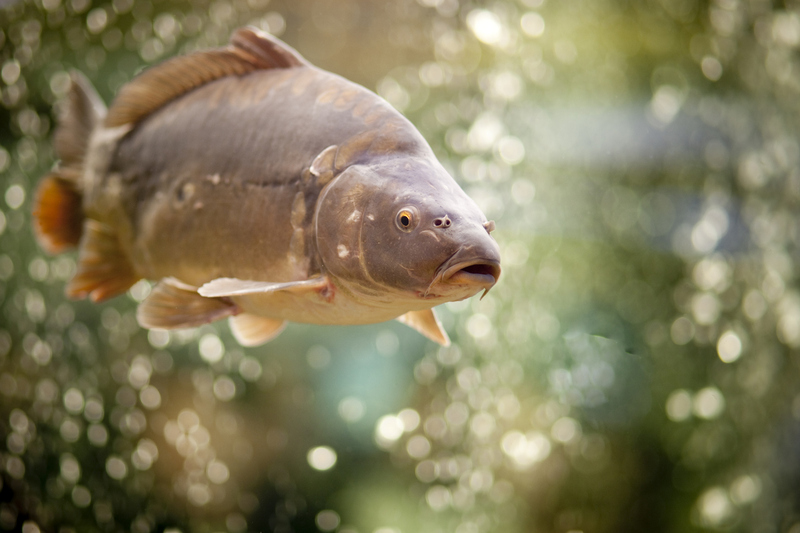 The large population of carp will be less fortunate as the waterways project will double function as a pest control project. Carp are a pest introduced from Europe and get a bad name because their destructive bottom-feeding habits damage waterways and rivers. They’re unloved by fishermen too as their bad taste means there is no market for them, at the family dinner table or otherwise. They have featured in countless control efforts over the years, of which the waterways project is the latest. What is CNP stand for? The wider solution is to cull the foxes – perhaps concurrently with the annual kangaroo shoot? Two totally different management situations. The roo cull is carried out in discreet areas (CNP). A fox cull would have to occur throughout the urban area. I don’t think we can have shooters wandering through people’s backyards. While foxes hunt in urban areas they have their lairs in nature reserves which I understand are the same places as the roo culls occur. I can’t see the problem in coordinating both activities. And licensed shooters with registered firearms are welcome in my backyard, anytime. The “pond” at the corner of Bugden Avenue and Nicklin Crescent in Fadden recently had an island created in it; perhaps this is part of a plan to protect our freshwater turtles although that dam is full of carp (this may be short-lived hopefully). I have never seen turtles anywhere near that dam actually. That may be true for the area around the lake but the “other” smells to the north of Tuggeranong are emanating from the Mugga Lane land fill, composting facility and the infrastructure there.